Find out the 5 common stages of social selling in any enterprise. 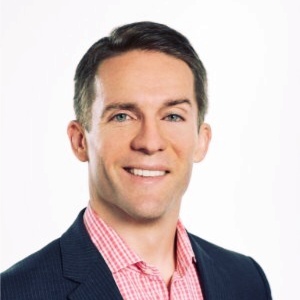 One of the most common questions I get asked when speaking to sales leaders is, “What does best-in-class look like for a company that is committed to developing its social selling capability?” I’d like to define the key elements here, and to explain how LinkedIn’s latest release of our sales solution is purposefully aligned to high-performing enterprise requirements. Though there are, as expected, many ‘cool tech’ features in this new instance, I feel it’s important to understand the strategic context within which our evolved product will create maximum value for corporate clients. Let’s begin with first principles. Social selling – defined as the use of social media to find, understand, and engage with business prospects – stands or falls at the enterprise level based on the extent of commitment across two key dimensions: sponsorship and scope. All other tactical considerations – the specifics around prospect targeting, tracking, and outreach – are important but ultimately secondary to these foundations. 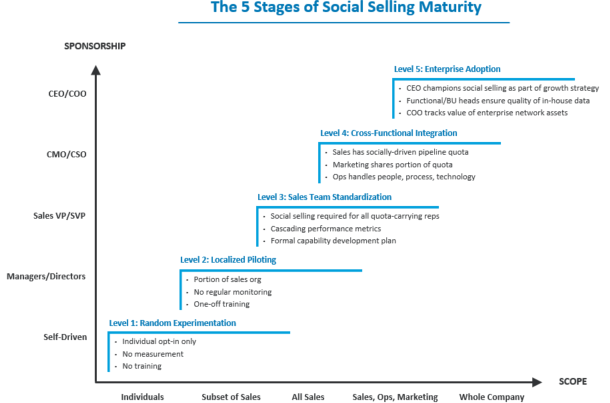 Taking them as our primary axes, then, these are what I would suggest are the five stages of social selling maturity for any enterprise. 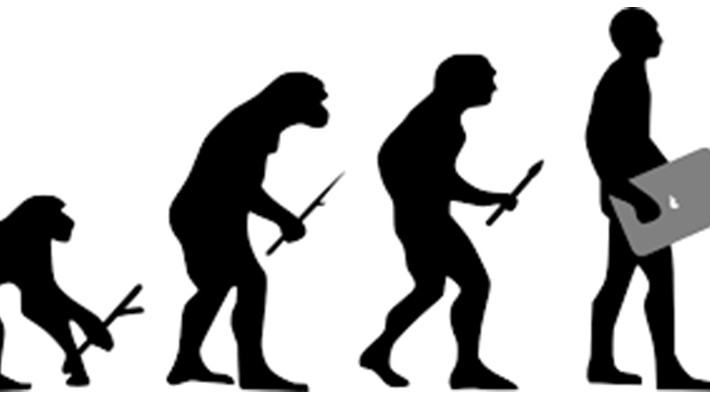 Some companies, of course, have yet to graduate to a point where they can be situated in this stepwise progression. Level 0 companies have neither sponsorship nor scope. They prefer to stand athwart history yelling “stop!”, believing that social media is irrelevant to their business. They also tend to be known for ash trays in the conference room, cat-calling at the water cooler, and unabashed use of the word “toots” as a term of endearment for any female employee. Level 1 companies have sponsors in the form of digitally progressive mavens, but these individuals operate outside the official corporate policy. Typically, they have bought a premium LinkedIn license to improve their personal performance, but nothing is happening at their company in a coordinated way. Both sponsorship and scope are at the level of the individual. Level 2 companies have Managers and Directors who show a tentative commitment to social selling, usually in the form of a ring-fenced program that is being framed, implicitly or explicitly, as a trial. These programs tend to be confined to a subset of the sales force (Sales Development Representatives or Account Executives, for example), and are launched with a one-off training session to kick-start the competency of pilot participants. Level 3 companies have the full-throated endorsement of the Sales executive team, who personally and publicly embrace social selling as a key ingredient of sales excellence. These executives have instituted reporting metrics and systematic training programs for the entire sales organization. Sales leaders are monitoring individual and team performance on a regular basis. Level 4 companies have forged a mutually supportive relationship among the Sales, Marketing, and Sales Operations teams. Marketing is required to develop a content strategy that will generate a specific percentage of qualified sales leads. The Sales team is tasked with securing a portion of its pipeline through socially-driven channels, using Marketing content for prospect engagement. And Sales Ops functions as the connective tissue between Sales and Marketing, handling all people, process, and technology requirements. Level 5 companies understand that to realize the full potential of social networks, the whole company needs to be engaged. Network power is after all maximized in proportion to overall network participation, and the ideal end-state would see the collapse of functional and divisional boundaries. The CEO openly promotes cross-enterprise collaboration and is supported by his/her direct reports. The COO tracks ‘realized network value’ as a key performance metric: the overall quality of company profiles, the degree of company interconnectivity, and the intensity of enterprise collaboration. My assessment is that about 80% of the organizations I’m working with today are somewhere between Level 1 and 2. About 20% are in the Level 3 and early Level 4 range. But I have no doubt that this distribution will reverse itself, and start to move further up the slope, in due course. You may be thinking to yourself, “How realistic is this end-state vision? Doesn’t it seem a little far-fetched?” I don’t think so. Indeed I would argue that we are only beginning to understand the enterprise-wide benefits of a more ambitious commitment to the company’s social presence and utilization. Imagine for a moment that every employee at a 1000-person company had a fully-developed LinkedIn profile – all fields complete, and with the appropriate mix of individuality and company brand collateral. Imagine, too, that there were 100% interconnectivity – everyone is now a first-degree connection of everyone else at the firm. If that standard were upheld, how would the company benefit? From a talent perspective, how many top-tier recruits would be edged into accepting an offer with a company whose commitment to its brand and mission was this pervasive and compelling? From a marketing perspective, how many customers would be influenced by the vastly increased number of content channels (i.e., every employee’s profile page)? From a sales perspective, how many additional warm introductions would be brokered through such a dramatically expanded first-degree connection pool? We could certainly go on. How Does LinkedIn’s Latest Product Help? Increases Warm Introductions: Gives the sales team access to more warm introductions via anyone in the company, no longer just other sales colleagues who are part of the current Sales Navigator deployment. Tracks Content Consumption: Offers enterprise-level analytics on how Marketing content is consumed and shared by the client, improving visibility into content performance, the client’s decision-making landscape, and the sales process. Accelerates CRM Integration: Includes several new features that strengthen the interface between our platform and Salesforce.com, with other CRM partners being integrated later this year. In essence, our new product facilitates the extension of social selling across the enterprise. It is a deliberate breach of the levee surrounding the sales function, and an attempt to gather more data around the later stages of the sales cycle. It is also, in some sense, a doubling down on LinkedIn’s core competency: uncovering previously unknown connections. This is arguably our killer app, and anyone who has used LinkedIn will probably recall the first time you saw a suggested connection request to someone you hadn’t thought about in eons. We are replicating this magical moment of unexpected discovery but in a highly purpose-driven way: to create more business opportunities for the enterprise. Our strategy takes into account the inescapable reality of B2B sales today. An HBR article last year confirmed what we all feel intuitively: connecting with a prospect now takes 18 or more phone calls, callback rates are below 1%, and only 24% of outbound sales emails are ever opened. In a word, outbound B2B sales are becoming less and less effective. 84% of B2B buyers begin the purchasing process with a referral, and peer recommendations are influencing more than 90% of all corporate buying decisions. What does a company do with this information apart from explore systematic ways of cultivating referral opportunities? And that is precisely where LinkedIn is uniquely positioned to help. How much revenue uplift could be achieved through even a modest increase in the number of warm introductions for your sales team? According to the CEB, just a 5% incremental improvement in your core performers – the roughly two-thirds of your reps who achieve middle-of-the-road results – can have up to a 60% increase in sales for your business. There is clearly massive upside potential here. In the coming months I look forward to elaborating on this emerging opportunity for sales leaders.